The University of Nottingham offers a comprehensive and expanding range of scholarships in order to encourage academic excellence, aid diversity, develop relationships with sponsors and offer real financial assistance in cases of hardship, whether individually or by region. 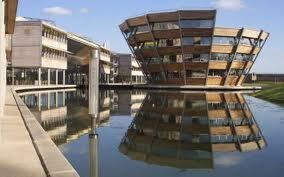 University of Nottingham aim to notify applicants of the outcome within 6 weeks of the closing date. Demikianlah informasi mengenai ASEAN Master Scholarships, University of Nottingham, UK semoga berguna bagi anda.